Why has New Calvinism taken the American church by storm? Because the American church was already primed for it. Before authentic Calvinism was rediscovered by a Seventh-Day Adventist in 1969, America was, and always has been half-pregnant with the Puritan form of Calvin’s Geneva. Calvinism makes everything about justification while excluding sanctification for a very simple reason: control. If justification is a finished work, and all that is at stake is eternal rewards in heaven, the church would not be nearly the institution that it is today. Why is there big money in religion? Why is there a church every two miles in America with a 500,000 dollar annual budget? Why did 3,000,000 people show up on a beach to see the new Pope? Why does the Catholic Church have so much power? Because salvation is big business my friend. If salvation is found in an institution, it will all but rule the world. There is no money or power in making disciples; the money is in making saved people and requiring them to be faithful to the institution in order to stay saved. In business, we call that RMR (reoccurring monthly revenue). The Parable of the Talents is teaching about a servant who sought to only give back to the Master what he had originally received. And that is exactly what the Reformers promoted. Calvin et al believed that sanctification replaced the Old Testament Sabbath. We will make it to heaven if we “rest” in our salvation. Ya know Paul, this New Calvinism stuff is supposedly so great, but I have been a member of this church for ten years now, and what? Maybe five people have been saved in that time. Exactly. Let’s face another fact, people aren’t being saved, if anything, they are just being shuffled around or convinced they were never saved to begin with. The reason for this is simple: Christ said to let our good works shine before men so that our Father in heaven would be glorified. That concept was anathema to Calvin. The fact that sanctification is a Sabbath rest should speak for itself. The double myth of Arminianism. Arminianism is another Protestant myth. It centers on the election debate, a doctrine that Calvinists don’t even believe to begin with. The Arminian/Calvinist debate is a double myth. Start thinking for crying out loud, what power and control would there be in election? There is no money in election either. Election portends a settled eternal destiny. If there is election, what do we need the institutional church for? “Election” only gets you into the race for “final justification,” but the race must be run in the church so that you can get your perpetual forgiveness that keeps you in the race. My friend, always follow the money. Always. We are all just sinners saved by grace. This is Calvin’s view of Christians remaining totally depraved while receiving justification in the present-continuance tense. Right, because sanctification is “subjective justification.” Any concern with our outward behavior is, as Calvinist hack Dr. Michael Horton states it, “trying to BE the gospel rather than preaching the gospel.” This fosters the very thing that makes Christianity contemptible to the world—preaching the gospel and not living it. It is the Sabbatical sanctification fostered by John Calvin himself and promoted by Arminians wholesale. Calminianism is the real reality. Obviously, sanctification is all about KNOWing HOW to control our bodies. And even more obvious is the fact that justification has nothing to do with that at all. And also obvious is the fact that the two aforementioned Calminian metaphysical bumber stickers totally reject this biblical definition. Let’s have another moment of honesty. How many Christians know more about controlling their body today than they did yesterday? And does that affect how the world sees us, and God? Sanctification is a continued endeavor to learn more and more how to control our bodies from the Scriptures. Calvinism rejects that as the Glory Story. A focus on controlling our own bodies makes life about us and “eclipses the Son.” It fuses justification and sanctification together while dichotomizing anthropology. The opposite should be true in regard to both categories. Calminianism is an upside down Christian life. A prime example is something that everyone is born with: a conscience. The only Psychiatrist in history that really had a track record of helping people was O. Hobart Mowrer. The main thrust of his therapy was an emphasis on keeping a clear conscience. He believed that most mental illness was caused by a guilty conscience. He cured people by insisting that they deal with unresolved issues of guilt. Mowrer, once the President of the APA along with a long list of distinguished awards and appointments, wrote The Crisis in Psychiatry and Religion. The book rejected the medical model of Psychology and fustigated Christianity for relegating the care of the “mentally ill” to Freudian Psychology. Mowrer was not a Christian. Nevertheless, he is the one who most inspired the father of the contemporary biblical counseling movement, Dr. Jay E. Adams, who applied Mowrer’s practical approach to biblical counseling. Adams did this because he observed Mowrer’s astounding results while doing an internship with him in the summer of 1965. This only makes sense. The apostle Paul instructed Christians to “keep a clear conscience before God.” The Bible has much to say about the subject of conscience. Christians should use the Bible to be wiser in all areas of human practicality and should excel at it far beyond those who live in the world. Let’s have another honesty moment: how many sermons do we hear on the importance of practicality in the Christian life? Subjects such as, planning, accountability, etc. Unfortunately, these biblical subjects are dichotomized from the “spiritual” and deemed pragmatic. 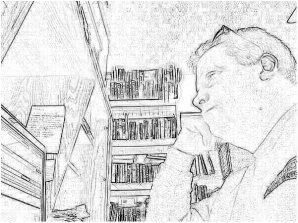 At the same time, justification and sanctification are fused together in an effort to live out a Sabbatical sanctification; i.e., sanctification by faith alone. This is nothing new, James rejected the concept in his epistle to the 12 tribes of Israel that made up the apostolic church. It is also a Gnostic concept that sees the material as evil and only the spiritual as good. Therefore, since anthropology is part of the material realm, any practicality thereof cannot benefit the spiritual. Supposedly. Another concept, along with conscience, is that of habituation. Through discipline, habit patterns can be formed that lead to change, ask anyone who has been in the military. People who inter the military come out as changed people. Because of our Protestant heritage and conditioning, these concepts seem grotesquely pragmatic. But according to the Bible, we are to make use of them. When I was a young boy, I often lived with my grandparents during the summer. My grandfather was a real-life John Wayne type. He worked as a construction foreman for a large company. And he was my hero. Before he left for work in the morning, I would sheepishly await for him to depart before beginning a flurry of tasks around their small farm. I would always have the tasks done well before his arrival home and waited at the end of the drive to hear his truck’s humming wheels come down State Route 125. I would then take him around the property and show him the finished tasks. His smile and compliments were my reward. These are tasks that I didn’t have to do; our love for each other was always something totally different from those tasks. I knew assuredly that he would love me whether I did those tasks or not because I was his grandson—his pride and joy. Some idea that the withholding of serving him in order to elevate the reality of his love for me would have been a ridiculous notion. Justification and sanctification must be separate. Anthropology and the spiritual must be fused. Our bodies must be controlled and set apart for good works. This will lead to the showing forth of our good works and the glorification of the Father leading to salvation for others, not sheep redistribution. Spiritual abuse and disdain for justice. A devaluing of our own holiness for fear that it will eclipse the holiness of God, coupled with salvation being sought in the institutionalized Calminian church, has led to the same indecencies seen in the mother of the Reformers; the Roman Catholic Church. Rome has never repented of its abject thirst for blood, and the fruit does not fall far from the tree. The family split for the time being, but the Reformers never departed from Rome’s ecclesiastical justification found through absolution by church leaders. When this is the case, any vehicle going to heaven will suffice for heaven’s sake alone. The institution will never be threatened for the sake of the few. To the leaders, their existence and power is threatened, to the parishioners, their salvation is threatened. The institution must be preserved. This is no new thing, in the minds of the Jewish leaders; Jesus Christ was sacrificed to preserve the Jewish religious system. If even Christ Himself was expendable in this mentality, what will be of the molested and raped? Besides, we are all just sinners saved by grace anyway, right? Is justice therefore anywhere on the radar screen in this discussion? Hardly. Besides, the raped and spiritually abused should be thankful because what they deserve is hell anyway, right? Once this is understood, the landscape we see today in the American church should be no surprise whatsoever. The church is a sanctified body and not an institution for final justification. We are in the business of making disciples and not keeping people justified by faith alone in sanctification. The sanctified body doesn’t justify, it is God who justifies. Men must stop worshiping at the altar of ecclesiastical justification. Justification is free to us and finished, sanctification isn’t. Sanctification is where we show our love to the savior as servants, not leaches. Evil men like Paul David Tripp who posit the idea that the Christian’s whole duty is to “rest and feed” and wait for “new and surprising fruit” because Christians only “experience” fruit and don’t participate in it must be rejected with extreme prejudice. Their evil seed was spawned in 1970, but they have been in firm control of the American church for 25 years while proclaiming each year a “resurgence.” What do we have to show for it? It is time for men and women to recognize their calling, their new birth, their indwelling counselor, their gifts, and the authority of Christ and His word alone. There is NO traceable lineage back to the apostolic church like the genealogy documents burned by Titus. Murdering mystic despots have no claim on any authority of the church. Godly authority is continued wherever a spirit-filled Christian picks up a Bible and obeys its words. A church is a sanctified, obedient fellowship, not a justified institution drunk with its own visions of grandeur. « What is it About that Song? This right here summed it up for me. As you were talking about the love that you had for your grandfather and in that you DESIRED to work with him and do it to the best of your ability, this just shows how even our relationships show the character of God. We know that our parents don’t disown us- we are their children (justified). We do not worry that we will be thrown out the door- we are their children. But, there is an expectation to grow and be disciplined (sanctification)- we are their children. Children that have been disciplined with love and care are then children who have a desire to please their parents. See? 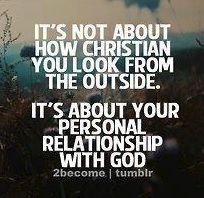 no different then our own relationship with Christ. 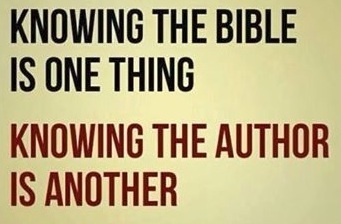 A simple concept really, but a hard one to grasp because many try to make something out of God that isn’t. I will be a bit nasty here- the very image that Calvinists or Aminianists put up on the throne is not the character of God at all, it is the very image of Satan. It is Satans character, not the character of Jesus Christ. It is exactly what Satan desires- is for one to be under subjugation. I was thinking last night about how funny it is that “actual doing and obedience to God” actually does bring freedom to the soul. You do start realizing that once you start to relinquish your own control and become a slave to Christ. But this is a personal decision that all must make; it is only a contract (binding) between you and the owner- there is no third party (pastor, leader, hierarchy). What a nutcase. He really said that? These guys make living righteously a sin. I keep seeing it over and over. If you think you can be righteous, you are prideful and elevating yourself to god status. All I can say, is preaching only elevates guys like him to god like status. The Cals LOVE Arminianism. Why? Because it keeps it focused on an internecine fight. They like that. It keeps people from questioning the entire construct. That is why most Cals will always call non Cals by the moniker: Arminian. they are taught to do this. They have heard it this way from every sector of their movement. It rolls off their tongue. They have not even thought it through. It is Cal-lite. That is why I am not impressed with Olson as many others are. Right. Arminians say, “We are all just sinners saved by grace” as much as the next Calvinist. Same thing. You know, I’ve been thinking about grace today It is by God’s love that we are saved, when you get right down to it. God’s love for mankind, his creation. Grace is an EXTENSION of God’s love, so is mercy, justice, discipline, correction, compassion, etc. God IS love. God is the very definition of love. Cals seem to completely miss who God is. God is love. Anything that’s not rooted in love is NOT of God. That clears things up quite a bit, even without a Bible, which some tribes still don’t have in their native tongue. A child or mentally challenged person can figure that bit of wisdom out without much Bible study. And I say knowledge or learning DOES NOT automatically instill wisdom or intelligence or right action in a person. It seems that the word “grace” gets the praise & top billing. Same with gospel. God is lost in all that mix. So are God’s other attributes….. If a Calvinist says God ordains molestation, but would NEVER tell his own child their molestation was ordained, then his love over-rides his theology, because that is NEVER a loving action. If a Calvinist says we should “wear out” our children but other Calvinists can’t do it, it is because their love over-rides their theology, because that is NEVER a loving action. If love and theology don’t agree, it’s the theology that’s the problem, not loving action. Wrong theology needs to get in line with love. PERIOD. When theology harmonizes with loving action, believing God IS love, then you have the right theology! No other theology will do. Paul, I CANNOT stand that phrase and it is everywhere. In seeker megas, Reformed, you name it. I want to use some Bob Newhart counseling on them: Well, stop it. Yep, stop sinning. But then, do they understand sin? They think their existence is sin. They have been convinced that a bad thought is a damnable sin. When we were being warned that is where sin starts and gives birth if we do not take the bad thoughts captive. They have made it impossible to please or obey God so they have by default declared sinning normal for believers. it drives me nuts. A mom, I have long maintained that Calvinism is NOT applicable to real life. And you see it the most with their dealings with their own kids if you have the opportunity to observe. Bingo! So how can you blame the guy? That’s why the 2year old must forgive! Yes, James warns us. And a “bad thought” may be temptation from Satan, not a sin if it’s rejected & thrown into the trash bin! If I were Voddie’s daughter I would have been “worn out” to the death. I was very polite, but painfully shy as a child. Thank God my parents weren’t Calvinists & were gentle with me & never “beat” the shyness out of me. And the rest of the world has watched while parents have beaten their kids to death, thinking they were obeying the Bible. What a testimony. NOT! A mom, I have long maintained that Calvinism is NOT applicable to real life. This is why no one will say outright that they would tell their kids God’s will for them is to be molested if they were. And why many don’t “wear out” their kids. But they say it’s okay for everyone else. Very hypocritical. Reblogged this on Paul's Passing Thoughts. Proverbs 29:4 The thought of foolishness is sin: and the scorner is an abomination to men……any thoughts? My first thought is that the passage you refer to is 24:9 not 29:4. The second thought is: the verse speaks of the foolish who scorn righteousness. So, what’s your point? If you are interested in a copy of our new book send your mailing address to mail@tanc.online. Least I can do for not posting your comment.